Mornington Crescent Underground Station directly opposite the restaurant. Only an 8 minute tube journey from Leicester Square. 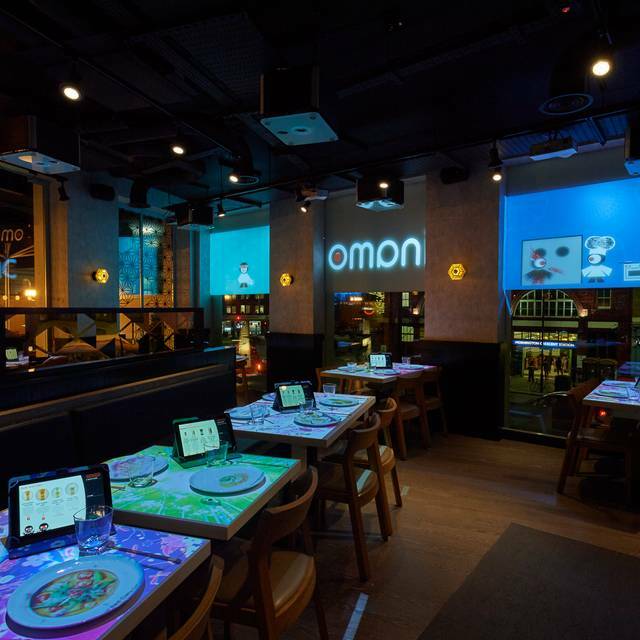 inamo shares state of the art interactive tables & ordering systems. 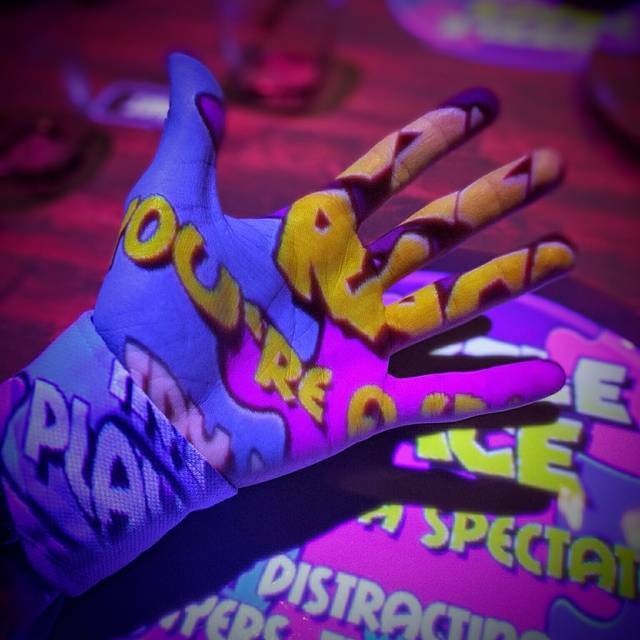 Choose to colour & draw directly on your table surface, play fun games such as pong & memory, order your meal, watch the chefs in action on chef-cam, even customise your table surfaces with your own images! 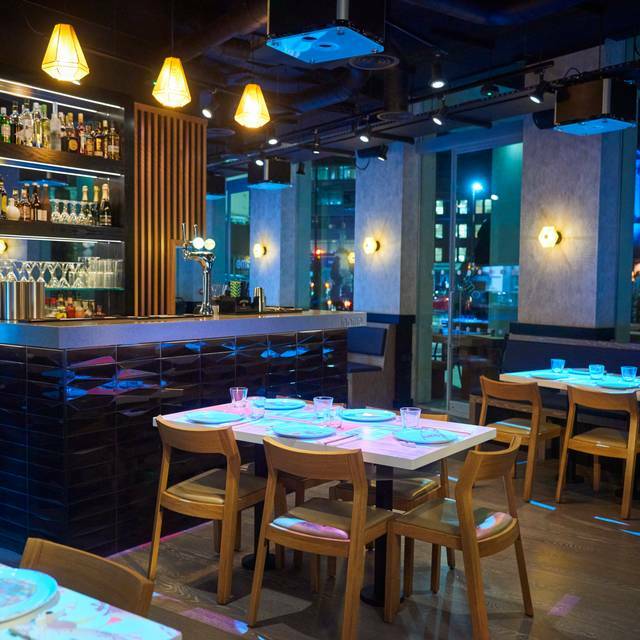 The dining experience at inamo is unlike anywhere else in London or beyond. 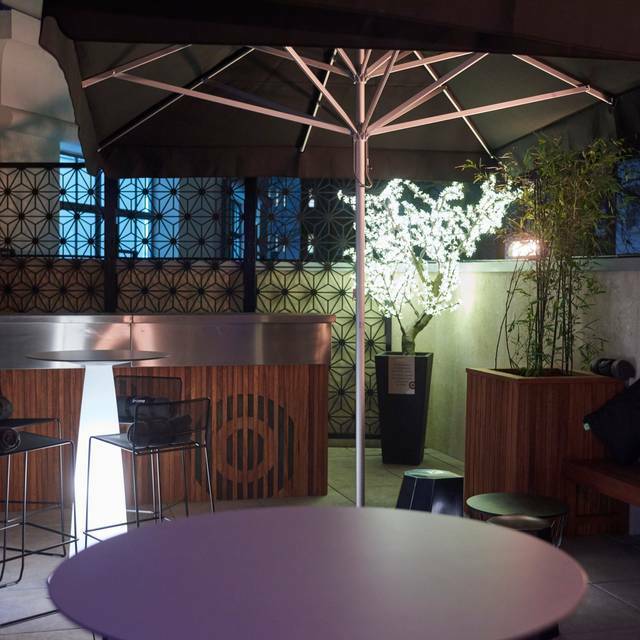 We also host monthly Magic Nights with John Bulleid an Associate of the Inner Magic Circle, as well as hosting regular wine events, comedy nights, cocktail classes, and sushi & sake masterclasses. 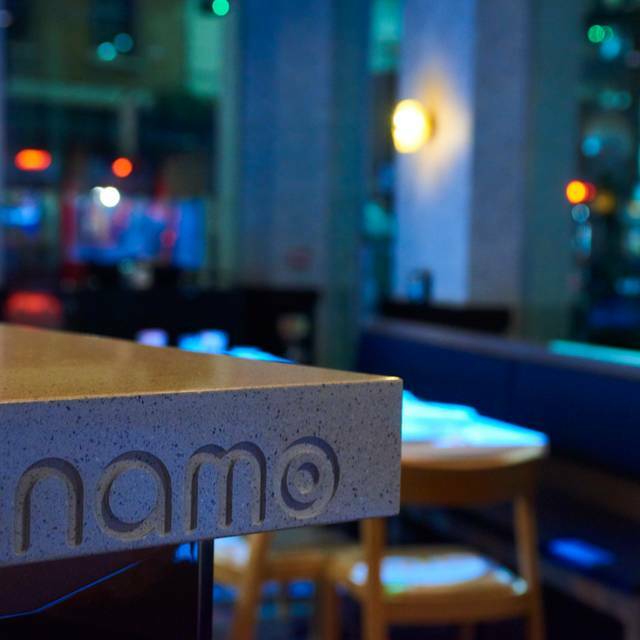 inamo fuses unique interactive technology & pan-Asian dining in stylish surroundings. Recognised as best restaurant & best outside bar in Camden by TimeOut. inamo shares state of the art interactive tables & ordering systems. Colour & draw directly on your table surface, play fun games such as pong & memory, order your meal, watch the chefs in action on chef-cam, even customise your table surfaces with your own images! 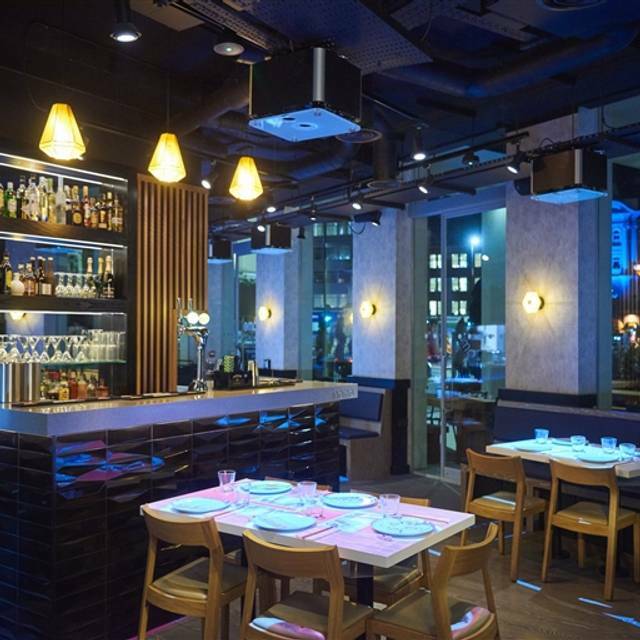 The dining experience at inamo is unlike anywhere else in London or beyond. None of this distracts from the high-quality food. Head Chef Raouf Zemirli presents sharing dishes from across Japan, China, & Thailand. Sushi & sashimi house favourites include our iconic Dragon Roll & a striking Sashimi Platter. Feast on Asian tapas like Szechuan Chicken, Sizzling Black Pepper Beef, & Bang Bang Cauliflower. Outside are 5 stunning pop-up igloos, furnished with sheepskin rugs, floral decorations & fairy lights, featuring their own heaters & speakers. A sumptuous sharing or tasting menu served in stunning igloo furnished with sheepskin rugs, dressed with floral decorations & fairy lights, and featuring their own heaters and speaker system. Dishes from a set menu & subject to change. There is no interactive technology within inamo igloos. PLEASE NOTE: your igloo reservation is NOT confirmed until inamo have received a payment of a £10pp non-refundable deposit to secure your booking. 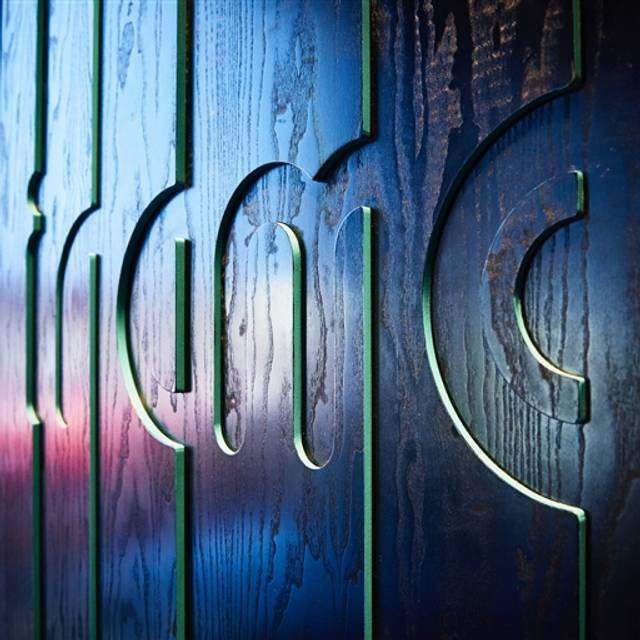 Dinner prices apply from 5pm. It was ok nothing special, ordering food from the I pad was a bit annoying and fiddly after a while. The Al carte menu is quite limited. I had koren chicken wings, they were nice but could have been cooked a little longer. My friend ordered Singapore noodles without pork but wasn’t sure about the chicken due to it having a weird texture. I wouldn’t rush back in a hurry to be honest. Service was slow although we had some free ribs after waiting 50minutes for this order. Not many games available to play on the table just not what I expected. Many years ago in inamo Piccadilly I had the most incredible dinner. I remember the interactive table was amazing , top service and prices were high. Food was good but when we asked the waiter for cutlery he seemed to be really angry we asked and walked off before actually coming to the table to speak to us. The restaurant was not overly busy but they had run out of cutlery which we found very inconvenient and quite frankly I have never heard of a restaurant running out of forks! The interactive tables were were difficult to use, and we found some of the food to be overpriced. From the start to the end the experience was horrendous. The only nice food was the Bang Bang Cauliflower. The sushi was bad & a poor excuse. The chicken wings tasted stale! All the veg/tofu dishes were just covered in the same sauce either sweet chill or Szechuan. The management staff were argumentative on arrival and when I’d telephoned earlier in the week for information, they were dismissive, unhelpful and wanted to end the call ASAP without providing thorough info or answering questions. I’d booked the table for a birthday celebration and they did provide a candle and Happy Birthday inscribed plate with ice cream. Great food and there was plenty of it on the tasting menu. Service was a little hit and miss and the toilets needed a mid-evening clean up but, on the whole, it was a great evening. Great food and cocktails. Service was a little unfirendly at the end- lady insisted i went to get cash out as the machine wasnt working- this isnt really our fault and it couldve been addressed better. Our waiter, Peter, was amazing. He was so attentive and made a big deal out of it being my partners birthday. Even went out of his way to let us finish our drinks inside one of their igloos. Food was also amazing, would highly recommend! Out of sheer principle I have to write this review. Arrived for an 8.30 booking. By 9.25 my order still had not arrived. No point going into details... got up and left. Very loud group on a stag do behind us despite it only being 7pm. I am coeliac and was told a filter on the iPad that would show up meals that were gluten free- then found out what was labelled as gluten free wasn’t after ordering it. All the food was overpriced. Would not go again. Just nice funny experience. Will be good to know which table type you choose in reservation. Thank you. The food is good but the prices are ridiculous for what is served. I will give one sole example - a handful of prawn crackers scooped from a plastic tub in full view of patrons costs £4.45. The food itself (cooked) actually is good, but for the price, you can get better elsewhere. Also, this branch doesnt have the ordering system thats become the reason Imano originally became unique and you order view iPad in a clunky manner. The overall experience was okay, but slightly disappointing when our drinks came halfway through our meal, only because we were deep in conversation we failed to notice straight away. Other than the overall experience was fine a perfect for the occasion. Food was pretty good - good portion sizes and tasty. Service was lack lustre and we were actually bought dishes we didn’t order as our waitress put them through when showing us how to order. Another waitress then seemed to question our ability to order when we explained we hadn’t put this through. It seems a bit run down - I can imagine it was more lively and looked better when it first opened. We weren’t seated in a great place - a door kept opening to where I could see dishes being washed etc.. It's like that first time you went to Yo Sushi and thought you stumbled into the future. Mains were fantastic, appetisers were lacklustre and overpriced. Their "large" glasses of wine were shot glasses with stems. But you probably want to go here because of the tech. The projector tables are indeed cool and fun. You can get engrossed in scribbling or play memory games. Overall, the tech is pretty awesome and a credit to Inamo. Where the wheels really fall off is the staff. Woefully undertrained and clearly not clued up about why people come into the door. We were playing their pong-like game and servers were blindly putting plates over our playing area (no warning haha!). Asked for some cutlery for the table and another server just dropped a pile on my plate with thumb and fingers touching the wrong end (you know, the part you use to eat with!). Also, in between courses I literally had to beg idle servers to clear our table so we could go back to playing. Would I come here again? Not sure. The red curry really is to die for. But on balance, I think I'll leave Inamo until I get guests visiting from out of town. I had this 8 dish sharer last year in Covent Garden, the food and portion sizes were drastically bigger and off much better standard. In Camden, this was really disappointing to find small portions and the food was just presented poor and you didn't that sense the food was as fresh as it could have been. Having also ordered the the bbq ribs, this had to be sent back and replaced as they were completely cold o nthe inside and they were just 100% chucked in a microwave. What was also extremely disappointing was that this booking was made for my fiancé's bday and this was clearly stated on the booking. A complete disregard was shown towards this, not even a happy bday from any of the staff, no complimentary drink or anything of that sort which was just poor, esp with it being mentioned on the booking and the restaurant not being busy. Most definitely would not recommend. Really enjoyed our meal and would recommend to freinds and family. The interactive table was fun whilst waiting for the food which didn’t take long at all to come. Although our children enjoyed the gimmicks and the menu looked exciting we were really disappointed in the food. Incredibly overpriced for what tasted like mass pumped out generic gloop. That includes the astronomically priced ‘non-alcoholic’ cocktails and poor wines. Very different from inamo soho. Feels like lower quality restaurant. Only 3 sushi options, and food was very average. I don't recommend this restaurant to anyone. We went there to celebrate my son's special 10th birthday as requested by him. But it's not the same as the Wardour street . This one doesn't have kids menu and the kids wanted to go there because they thought they can play the interactive games. It doesn't even work properly and not many games to chose , battleship was not there. The food was not very special and very expensive. Many items were not available from the menu. customer service was poor. They were not welcoming and hardly spoke. There was no ambience it was just quiet and depressing and food was cold and bland. Good food and decent surroundings but unfriendly and slightly aggressive service. Particularly from the female Maitre’d downstairs. Brusque and unhelpful. Overall it was okay but wouldn’t go back. We had called the waiter on a number of times no one came over, portion of foods were unequal, no cutlery or plates handed we had to ask them, only two forks in the whole of the restaurant. Drink came close to the end of dinner. door kept on being opened and allowed cold air coming in due to waiters using the short emergency exit rather than the actual door. Inamo restaurant has that different ambience. Its definitely worth a visit as a foodie. Poor service and Singapore and Singapore noodles were warm and the meat was chewy and fatty. My wife found this place online by chance and very pleased to be able to reserve our table online. I did think the idea of texting the customer to confirm booking was a very good idea, wish more places did that. Arrived on time for our booking and showed to our interactive table. The ordering was self service via a tablet on the table and very easy to negotiate and order our food and drink. The service was very good, with not waiting long at all for our food. Each dish was absolutely delicious, especially the dragon roll! Definitely will be back as soon as possible. The service was very Good and also the concept. We will come back. The restaurant smelt very very strongly of cleaning products which was not in anyway pleasant. The staff appeared as though they didn't want to be there. The food was edible but not great. I have previously been to the Covent Garden branch and had a brilliant experience which is why we booked in at inamo when we saw it was close to the event we we're attending. However, following this experience I don't think we will be back which is disappointing.